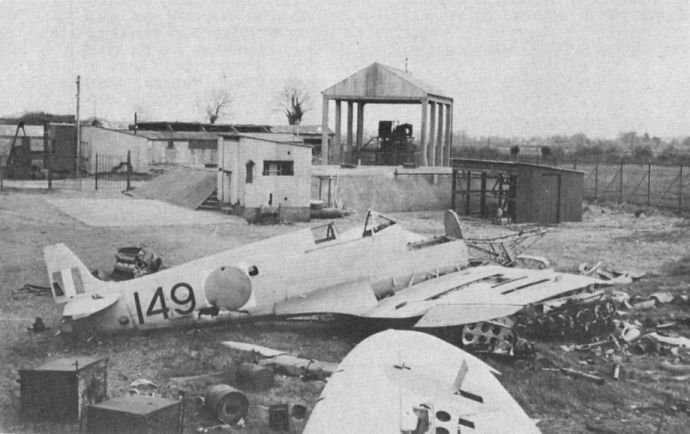 Seafires 149, 155 and 150 in the scrapping compound at Baldonnel in March 1961. Another view of 149 at Baldonnel in March 1961. The engine mounts are well shown, and an unidentified radial engine is visible beneath the starboard wing tip. This view of 146 at Baldonnel in June 1962 illustrates the distinctive double-folding wings of the Seafire, with the tip portion hinging downwards. 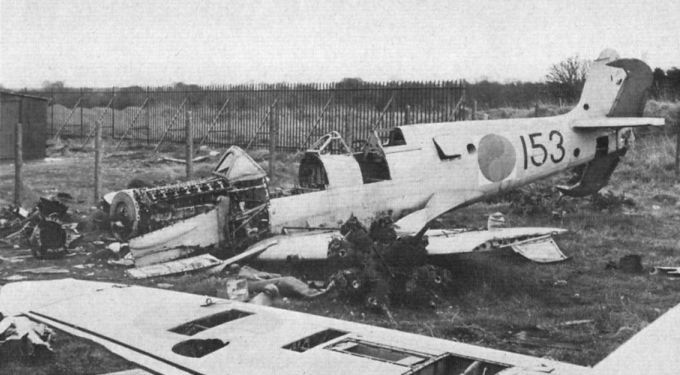 Seafire 153 found its way on to the Baldonnel dump in 1964, where it was photographed in March of that year. The forward "windscreen” is merely laid on the fuselage - the aircraft was not a two-seater! 156 was withdrawn in June 1954, and is seen at Baldonnel in June 1962. It was licence-built by Cunliffe-Owen and delivered in September 1947. 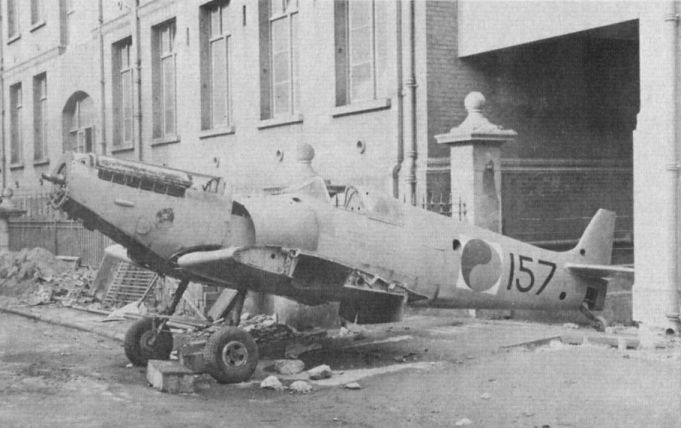 Seen outside Bolton Street College, Dublin, in March 1961, 157 bears the badge of No 1 (Fighter) Squadron on its nose. It was scrapped in 1963.